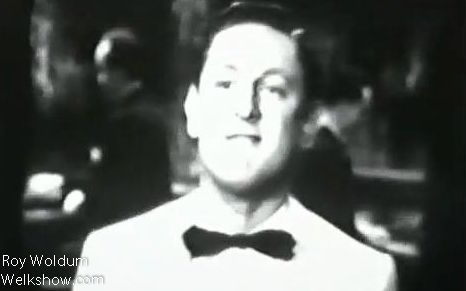 Roy Woldum was a performer with the Lawrence Welk Band from 1949 to 1952. His featured talent was as a whistler. Woldum was born in 1924 in Decorah, Iowa. While serving in the Navy during WWII, his crew mates convinced him that he should capitalize on his whistling talents once the war ended. Woldum landed a job with Lawrence Welk as a truck driver, however, and not a performer. He eventually convinced Welk to let him perform and audiences were impressed enough to write letters to Welk encouraging him to hire Woldum, which he did in 1949. Woldum passed away in 2003 in Orange County, CA.